One of the more demanding tasks faced by teacher educators and mentors is providing high-quality feedback for preservice students during their professional learning. The limited formative assessment currently available impacts on their professional learning. This paper reports on research into how iPhones® have been used by preservice students, supervising teachers and teacher educators to provide formative assessment to preservice teachers on practicum. A purpose-built website and iPhone® application manage communication between preservice teachers, school supervisors, university academics and the university’s professional experience unit. The app links captured images, video and written data with assessment criteria. Data from an action research project showed improvement of practicum experiences for mentors and preservice teachers. Results indicate that there is strong support for the use of mobile devices as a means to support supervising teachers in their decision-making processes. Importantly, preservice teachers have welcomed the opportunity to receive powerful visual feedback as part of an on-going formative feedback process. Dann, C. & Allen, B. (2015). Mobile video collection in preservice teacher practicum placements. Journal of Technology and Teacher Education, 23 (1), 5-27. Waynesville, NC USA: Society for Information Technology & Teacher Education. Retrieved April 21, 2019 from https://www.learntechlib.org/primary/p/129814/. Caudill, J. (2007). The growth of m-learning and the growth of mobile computing: parallel developments. International Review of Research in Open and Distance Learning, 8(2), 1-12. Cousin, G. (2009). Researching learning in higher education. Abingdon, oxon. : routledge. Earl, L.M., (2003). Assessment as learning: Using classroom assessment to maximise student learning. Thousand oaks, Ca: Corwin press. Gronn, D., romeo, G., Mcnamara, S., & Teo, Y.H. (2013). Web conferencing of pre-service teachers’ practicum in remote schools. 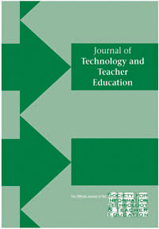 Journal of Technology and Teacher Education, 21(2), 247-271. Mcnamara, J. (2008). The challenge of assessing student capabilities in legal internships. In proceedings waCe asiapacific Conference, 30 september-3 october, 2008, sydney, australia. Miles, M.B., & Huberman, A.M. (1994). Qualitative Data Analysis. Thousand oaks Ca: sage publications. Rorrison, D. (2007). Theorising the practicum in teacher education. Paper presented to the australian teacher education association national Conference, twin waters, Queensland, 8-11 July, 2007. Scheeler, M.C., Congdon, M., & Stansbery, S. (2010). Providing immediate feedback to co-teachers through bug-in-ear technology: an effective method of peer coaching in inclusion classrooms. Teacher Education and Special Education: The Journal of the Teacher Education Division of the Council for Exceptional Children, 33(1), 83-96.